The Lantern Rooflights have a contemporary design providing a more architectural feel. Giving added height and volume to your room, providing maximum light transmission and that all important WOW factor. Designed to sit straight onto a flat roof (5-15 degree pitch). Available in 3 options; Fixed, Manual Opening or Electric Opening. The Lantern Rooflights have a contemporary design providing a more architectural feel. Giving added height and volume to your room, providing maximum light transmission and that all important WOW factor. Designed to sit straight onto a flat roof (5 to 15 degree pitch). The Manual Opening Lantern rooflights are best suited for those wanting contemporary design with the added functionality of allowing both natural light and ventilation. These are fitted with a telescopic screw-jack opener and supplied with a telescopic operating pole. The screw-jack has an opening stroke at 250mm. The Electric Opening Lantern rooflights are ideal for those wanting all of the above, conveniently operated by the click of a switch. These come with a quality concealed opening mechanism, and is easy to operate. It’s factory-fitted with 24v chain-driven actuators which are completely concealed within the frame. Delivery within 10-15 working days. We have a large selection of standard sizes available but if you require different sizes please create a Tailor Made option – entering your dimensions and add any available Optional Extras for an instant quotation. If your requirements are outside of these sizes please see call 01223 79 22 44 or email [email protected] ailto:[email protected] to discuss your specific needs in more detail. 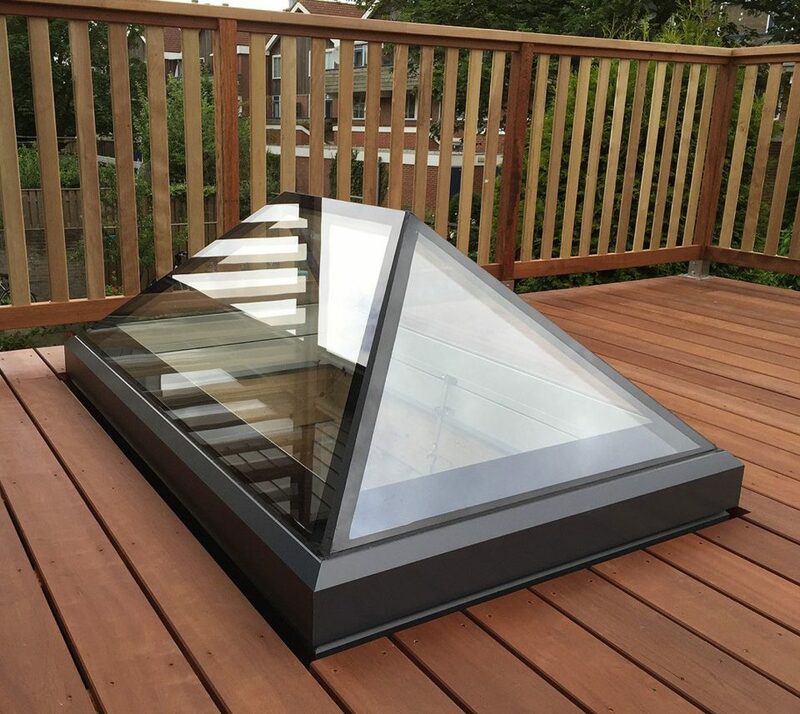 The Lantern Rooflights come with a 32mm DGU toughened safety glass with low-e coating and warm edge spacer. The low-e coating allows the suns natural heat (solar gain) to pass through the panes then the low-e coating reflects the heat gain back into the room, which is more energy efficient. NOTE: Dimensions are external measurements & all prices are pluc VAT. A fixing kit is supplied with this item, which will include all fixings needed for installation but the Opening (Electric) must be wired in and signed off by a qualified electrician (wiring diagrams will be sent with the rooflight).